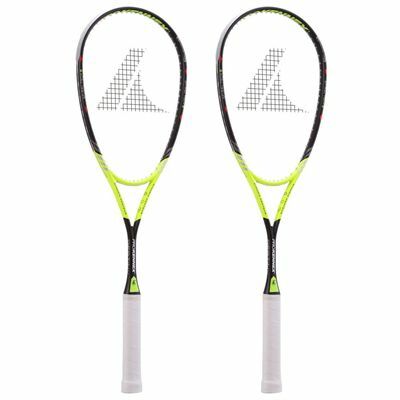 The ProKennex Destiny Speed Squash Racket double pack includes two evenly balanced frames dedicated to intermediate players seeking vastly improved control and substantial manoeuvrability enhancement. 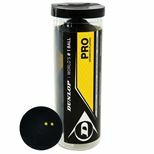 The racket offers exceptional speed and handling due to a lower weight 115g (4.05oz), allowing to tackle harder shots and tougher opponents with ease. The racket ensures the lightest feel in the Destiny range, and with the even balance point, it provides a good deal of power and control in an equalized approach to the game. 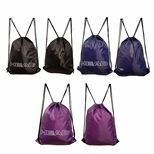 Both frames are strung with Response string in an open 16x19 string pattern, and they arrive with full-length covers to ensure essential protection. 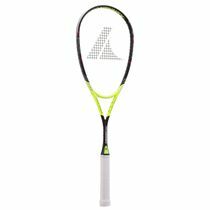 for submitting product information about ProKennex Destiny Speed Squash Racket Double Pack We aim to answer all questions within 2-3 days. for submitting product information about ProKennex Destiny Speed Squash Racket Double Pack. We aim to answer all questions within 2-3 days. If you provided your name and email address, we will email you as soon as the answer is published. for submitting product review about ProKennex Destiny Speed Squash Racket Double Pack.